Start off measuring your seasonings. You can put them all on separately later (like I did) or mix them together and make them into a rub. I’ve done it both ways and each way you end up with delicious pulled pork. After you measure your spices, pour your broth into the slow cooker. Add the chopped onions and garlic. Pat the pork dry with a paper towel. If you leave the fat on, you can remove it later and it’ll give the pork a nice flavor. Just don’t eat it. I typically remove it before cooking because I want to. 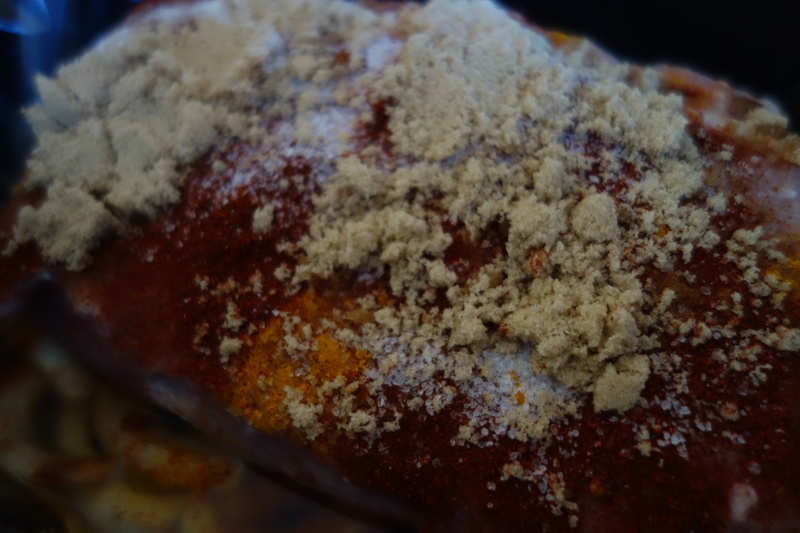 If you made a seasoning rub, rub the mixture over the pork before placing it in the slow cooker. If you measured your spices separately, place the pork in the slow cooker on top of the broth/onions/garlic. Put all of the seasonings on the pork. Yeah. Yum. When it is done cooking, shred the meat with a fork and make sure to mix it with the juice in the bottom. Transfer to a bowl with some of the juice from cooking, pour in your favorite barbecue sauce, and mix well. One of my favorite ways to serve pulled pork is on King’s Hawaiian sweet rolls. Either way, add a little butter and toast your buns before serving. Trust me. You can throw it in the oven on broil and it will only take a couple of minutes. I like to put some arugula on it to make it healthy. That’s how it works, right? Measure seasonings. 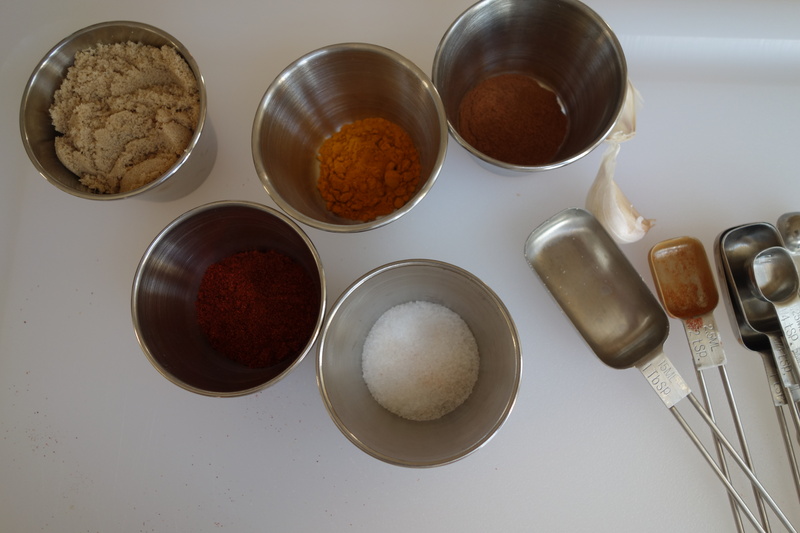 If creating a rub, mix all seasonings evenly in small bowl. Set aside. Chop onions and garlic. Place evenly in bottom of slow cooker. Pour chicken broth over onions and garlic. Pat pork with paper towel. Optional: trim fat. Place pork in slow cooker on top of onions, garlic, and chicken broth. If working with a rub, place rub over entire piece of pork before placing in slow cooker. Season pork evenly with pre-measured seasonings. Cover slow cooker with lid. Cook for 8-10 hours on low or 4-6 hours on high. When finished cooking, shred pork with fork. Mix with juice in bottom of slow cooker. Transfer to bowl with some juice from cooking. Pour in barbecue sauce and mix well. Butter and toast buns in oven on broil for 1-3 minutes. Watch closely, because depending on the heat of your oven the buns may brown very quickly. 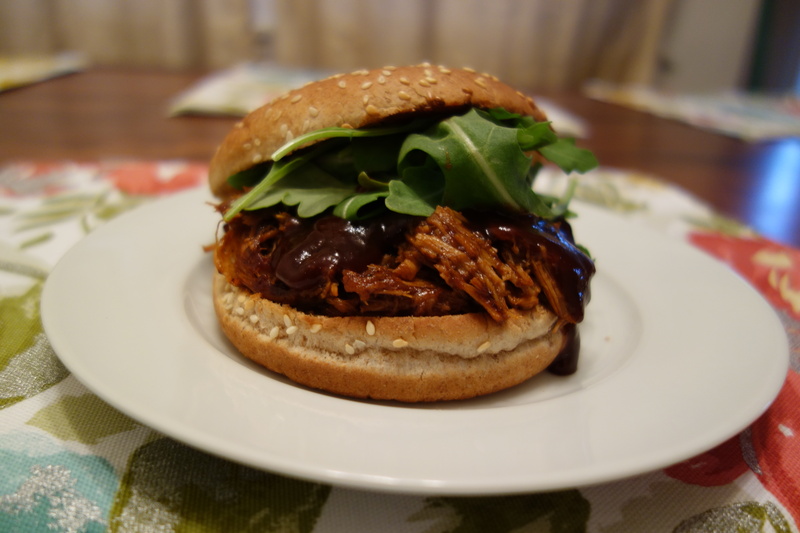 Place pulled pork on buns and top with arugula. I was looking for a healthier, but still yummy recipe! Love the recipe!